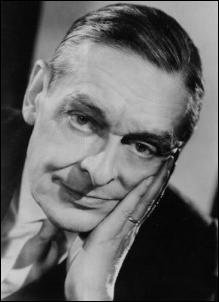 Founded in 1980, the Society is an international association of persons interested in the art and thought of T. S. Eliot. Our annual meeting is held in St. Louis, the city of Eliot's birth, on the weekend closest to his September 26th birthday. Among other activities, the meeting features the T. S. Eliot Memorial Lecture, given by an eminent scholar or poet. The Fathman Prize is awarded at the meeting for the best paper by a new scholar. The Society publishes a newsletter, Time Present, three times yearly, and it regularly sponsors sessions at the MLA and SAMLA annual conventions, the conference of the American Literature Association, and the Louisville Conference on Literature & Culture since 1900. Incorporated as a non-profit organization, the Society is supported by the annual dues of its members. Click here to join (or renew). For further information, please contact us. The Society is governed by its by-laws. At its September 2018 meeting, the Board voted to change the name of our society from the T. S. Eliot Society to the International T. S. Eliot Society in order to reflect both our actual membership and our conference venues. More than a quarter of our members hail from outside the United States, drawn in part by our meetings in Britain, France, and Italy. Our roots, like Eliot’s, are in St. Louis, where the Society began as a small, local organization. But we now have more members from Italy than from Missouri, and our new name reflects these changed realities and our aspiration to welcome Eliot admirers from around the world.